Way back in 2008, I was super excited about all things Revit and started What Revit Wants. I’m still super excited about Revit and BIM, and this is just a quick note to say thank you for all of your recent and ongoing support (like your replies here and here). What Revit Wants is not going away! We have had an interesting couple of weeks but we are back with more features than ever on a new web hosting platform. Over on the previous host, What Revit Wants had received over 6.7 million page views! I’m really motivated to continue sharing with such a huge audience. I look forward to engaging with you on social media and via your comments too. 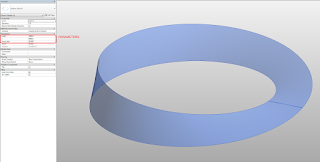 The main URL for What Revit Wants is now https://wrw.is/ If you have your own blog or site and you have linked to What Revit Wants, please update those links to the new site. Thank you so much! Have a Suggestion about how we can improve What Revit Wants. Head over to this page and add a comment. Thanks! An interesting but sometimes blunt process that happens in firms is ‘ranking’ their Revit users by proficiency. There are various reasons to do this, and some of them make sense. In an ideal world, all of your Revit users are simply awesome and you have no skills problems. But yeah, real life ain’t that way is it? So how do you go about it? And do you use those ratings primarily? Check out this post for more on using Revit with the right attitude and mindset. A while back, Alex Gore contacted me to ask me a few questions about my experience with Revit. Its interesting to read through what I thought almost three years ago. In some ways, it is a motivational piece about sticking with Revit, but there are tips and recommendations sprinkled throughout. There is a great deal of What Revit Wants in here, if you have the time to skim through it. After almost three years, what still makes sense? What hasn’t happened (yet)? When you are approaching creating a project in Revit, what sort of questions should you be asking yourself? What mindset should you be in? You really do need to pause at that moment before hitting ‘New’ to make a new project in Revit. What sort of project will this be? 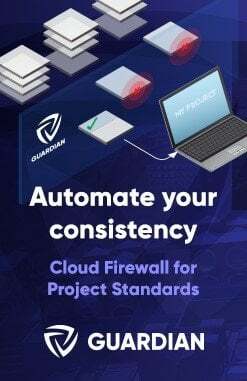 What is the timeline and project program? Are we under severe time pressure, or can we set this project up to be something that is ‘solid as a rock’ in terms of best-practice BIM? The right mindset is important. What is the best way to accomplish the project goal? 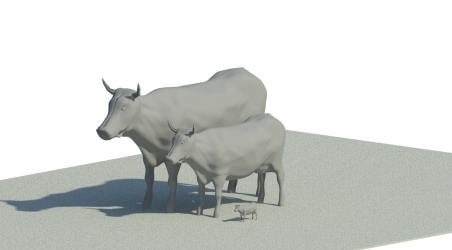 Do you need to model everything in 3D? Will you be the only staff member on this project, or do you need to determine some way to logically divide the modelling tasks between users? Are you going to go through many sketch iterations and rapid changes early in the project, and do you need to track these (think Design Options)? Is the model ever going to be a deliverable, and does it need to comply with any particular standard – either an internal one, or perhaps a BIM standard enforced by some regulatory authority? What mindset or thought process is counterproductive to working in Revit? Why can’t Revit do XYZ, it was easy in AutoCAD! You really need to commit to using Revit. Yes, it can be a difficult learning curve. The initial excitement quickly wears off, as you are faced with numerous choices you don’t really understand, and this long list of “I don’t know how to do this” tasks. But you will learn. You have to. Revit is not going away – it is becoming more widespread every day. Just be happy that you are sitting there using Revit – you have been given a great opportunity for learning and advancement. But you need to be open-minded, quick to listen and learn and ask questions, and slow to give up. Stick with it, you won’t be disappointed. All the little bits and pieces will start to come together and ‘click’ in your mind, trust me. If you were teaching someone Revit what outline would you give them? What would you tell them to learn first, second, and so on..
After doing some basic modelling, I would recommend spending some time doing some tagging and scheduling. Experiment with things – what can you tag, what can’t you tag? How can you manipulate information in Schedules, total certain columns, export to Excel. 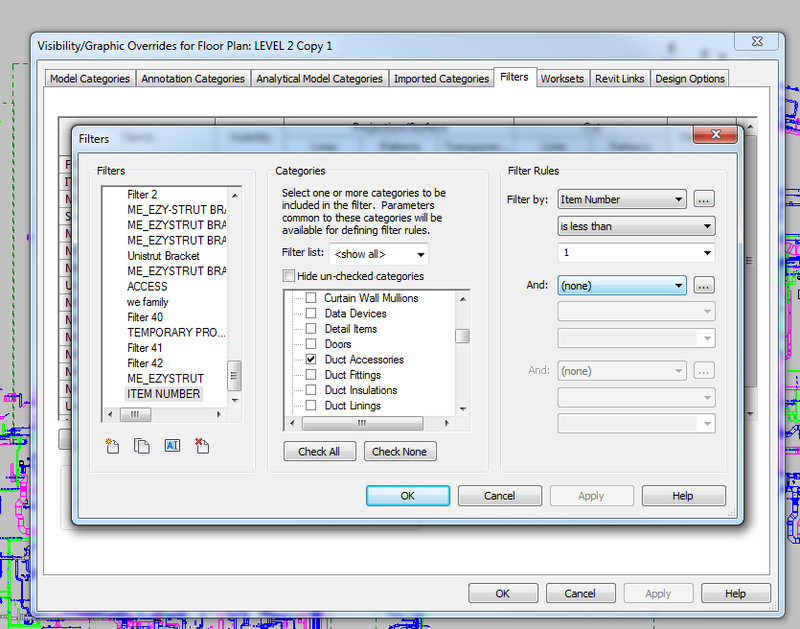 I think its important to expose yourself to the fact that elements in Revit have ‘intelligence’. Sure, you can see them in 3D. But the real beauty and power of Revit is that everything is linked together to the underlying data related to an element. What is a Revit trick, shortcut, or way of doing something would you wish someone would have told you long ago? 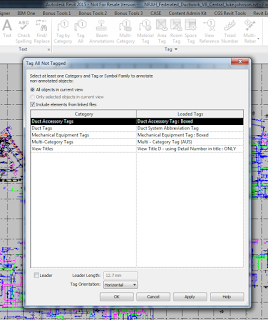 What is the most common mistake you see in revit models or building revit content? In the form of a rant – If something is a wall, use the Wall tool. If its a floor, use a Floor. If its a benchtop, use Casework. I may seem to be labouring the point, but one of the most frustrating things that I consistently see is the complete misuse of one Revit tool or category, when a better and more appropriate option already exists! As far as content goes, I think the biggest mistake is over modelling or making super detailed models. Trust me, from time to time I am guilty of this. But it comes back to setting a content goal – what is purpose of this content? If it is just to fill up a schedule, use the most basic form you can get away with. If something is unnecessarily detailed, it can really slow a project down. If you were passing by a student in a hallway and you could only impart 30 seconds of Revit wisdom on them, what would you say? Revit geeks are generally better paid and more employable than those with a Phd in Architecture. If you want to succeed in Revit, take the time to get to know it properly. Spend time reading up on best practices. Subscribe to blogs and Twitter accounts of professional Revit users. And some student-specific wisdom – its fun to learn how to model crazy and organic forms in Revit, but in a real office, you might spend about 5% of your time doing that. Over 80% of your time will probably be spent using Revit on a real building. So try to learn how a building actually goes together. Go on site visits. Do some construction labouring. If you know how a building is built, and you know how Revit elements are related to real-world building elements, you will go far. Where do you see the future of Revit, what is it’s significance, and potential? There is a lot of talk about 3D printing, CNC, direct to manufacture modelling. And I do think things will continue to head that way. 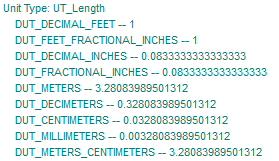 I guess one of the big unknowns is “how much will Revit end up doing”. I’ll try to explain – Microsoft Word is a great tool. It has been around for many years, and has gone through many many versions with features added to each version. But in the end, it is still just a word processing tool. You need Excel for spreadsheets, Outlook for emails, Powerpoint for slideshows, and so it goes on. So where will Revit end up? AutoCAD is a great drafting tool – fast, accurate, powerful. Its 3D engine is very strong. And yet there was room for Revit to develop, grow, and now flourish. Will Revit become an ‘all in one’ building model management tool? I actually hope that it does. I would love if it became the vehicle for all building elements and systems to be created, integrated and linked together. I want things to become simpler – I want to deal with less pieces of software, not more. A few things need to happen – cloud integration and Revit needs to become a reality. Something that is fast, user friendly, reliable. Is part of the solution to use hosted Revit in a Citrix type environment? Perhaps, but there are performance problems with that at the moment. Revit Server is good, but requires a certain commitment in terms of setup and maintenance. A great way to test if you know What Revit Wants is to try and run a complicated high rise or health facility using model groups. The principle and general functionality of groups is fine, but they can get very difficult to manage if not treated properly. However, they can be mastered. Whilst groups are error prone and seem to have a lot of bugs … they are still the best available solution within revit for collecting together repetitive sets of objects. She recently presented at RTC on this subject, and she has provided the associated presentation slides for download and viewing. 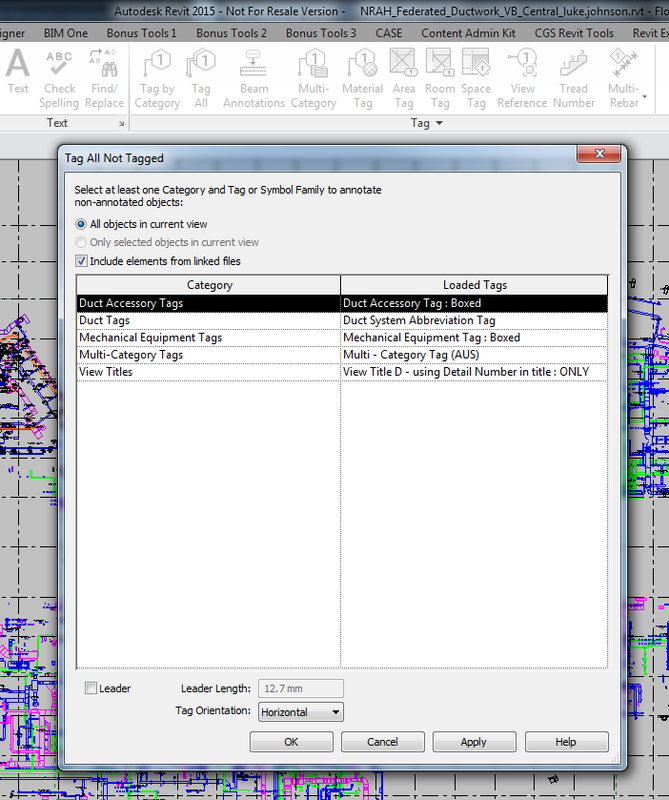 Autodesk® Revit® Links, Groups, and Documentation: How to Make It Really Work! The few BIM start up meetings I’ve sat in, usually involve “these are the BIM uses we are going to do”. Really? Did you ask the project what it wants. 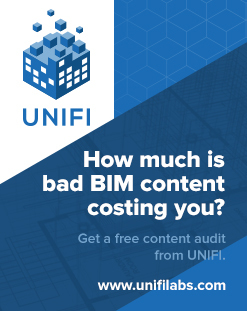 There is a reason why you sit down and figure out what are the goals of the project BEFORE selecting the BIM uses. More specifically what are the quantitative goals for the project. “I realized … that Revit is much more than a program to be used to document buildings and I started my pursuit to push Revit to its limits so I could better myself. Refocusing Phase: This is when I realize that there has to be a different way of doing something to achieve the end goal. I find a way. My engineering training has helped me to step back and look at my Revit problems in a new light. If you don’t know how to do something in Revit, try it. Remember it’s only a program—you can’t hurt it! Every profession has both a science and an art. The science can be taught, and people can be equally good at the science of any profession. The key to differentiate yourself in your profession is to develop the art side, not just the science side. The same is true with any profession, whether you are in sales, IT, customer service, or even medicine. After all, if healing was only a science, it wouldn’t matter who your doctor was. But you and I both know it does matter who your doctor is, and it’s not because of the science; it’s because of the art. It’s about what the individual brings to their medical practice—their uniqueness, their problem-solving ability, their diagnostic capabilities, and their way of solving problems in real time when they’re working on you. Being able to analyze 5 different ways of doing things, and being able to choose the best one. Solving problems by thinking through the process, not just by asking someone. Finding completely new ways to solve old problems. Knowing how to break the rules, and knowing when the rules should be broken.